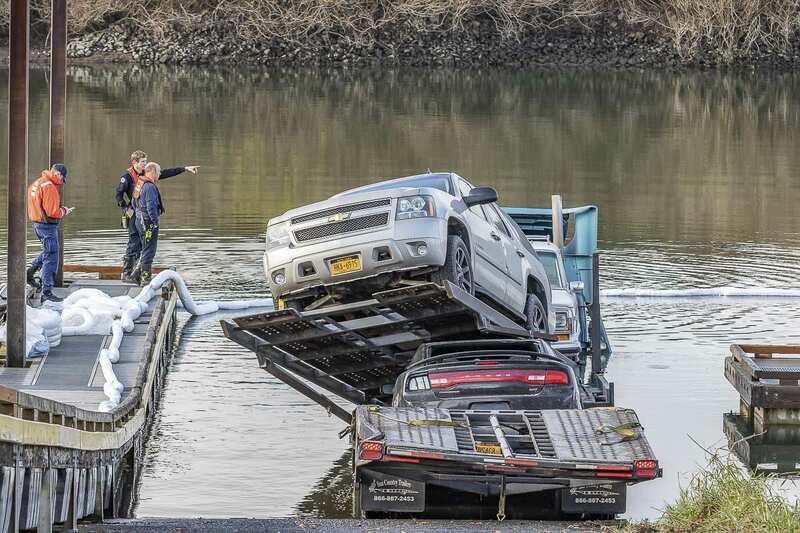 RIDGEFIELD — A semi-truck hauling vehicles to the Port of Ridgefield ended up in Lake River this morning when it was struck by a Union Pacific train. 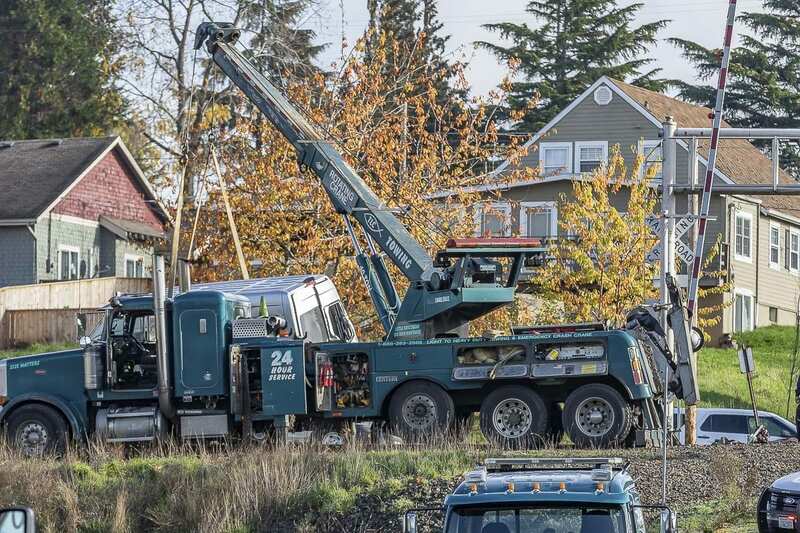 According to John Brooks, Ridgefield police chief, the truck high centered at a railroad crossing at North Railroad Avenue and Mill Street. 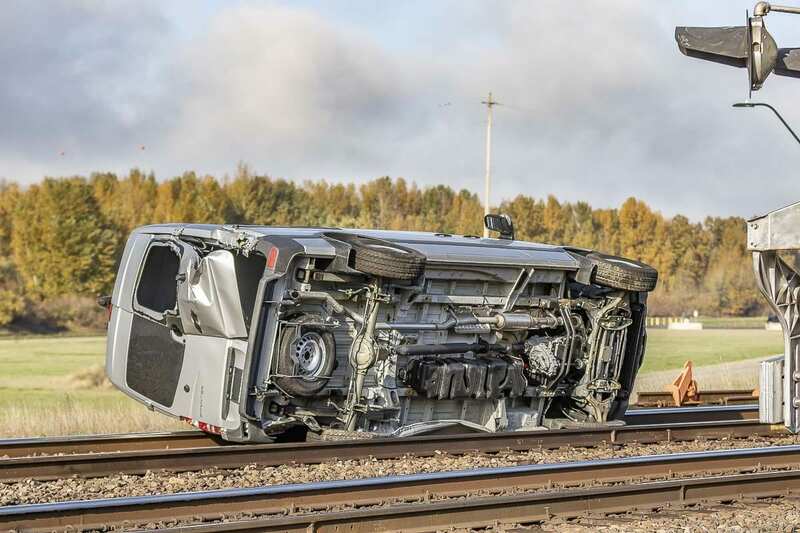 The driver got out and called 9-1-1, but then the crossing arms came down and he realized a train was approaching. The collision knocked a van off of the car hauler and onto nearby tracks, and pushed the semi-truck into the nearby tributary, up to the front windshield. The tracks, which are owned by BNSF, were shut down for nearly three hours while emergency crews worked at the scene. An oil sheen was spotted on the river, and hazardous spill responders set out booms to try and stop the spill from spreading. 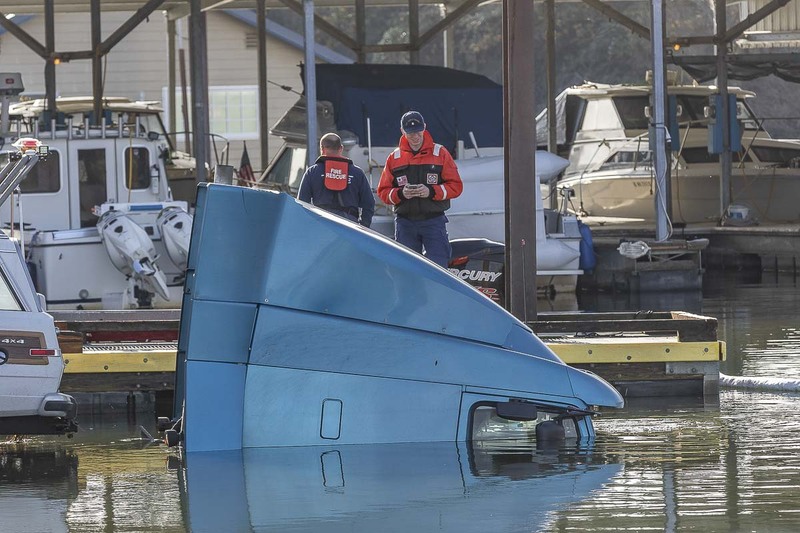 According to authorities approximately 100 gallons of diesel fuel went into the water. A large tow truck was brought to the scene to help pull the semi out of the water. The train engine reportedly was undamaged, and rail traffic was allowed to resume around 11 a.m.. There were no injuries as a result of the collision, which remains under investigation.